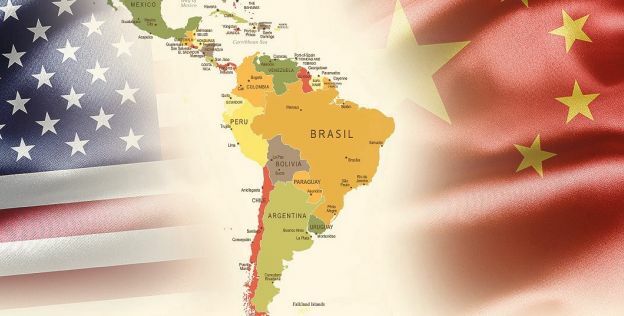 For the five-year period between 2015 and 2019, China’s President Xi Jinping set ambitious goals for exchange with the Latin American and Caribbean region (LAC): $500 billion in trade and $250 billion in direct investment. The pledge was made in January 2015 at the first ministerial meeting of the Forum of China and the Community of Latin American and Caribbean States, which was held in Beijing. Although it remains to be seen if this degree of integration can be achieved, the investment target is certainly plausible, as China is likely to emerge in the next few years as the world’s largest supplier of capital. As America recedes into the background, Chinese foreign direct investment in Latin America and the Caribbean has skyrocketed over the last ten years, according to a 2018 report by the Economic Commission for Latin America and the Caribbean. China dropped close to $90 billion in the region between 2005 and 2016. With a growing emphasis on telecommunications, Chinese investment in emerging technology is increasingly the primary fuel behind Latin America’s tech boom. Over the past several years, China has managed to turn itself into Latin America’s largest creditor, mostly by funding large-scale infrastructure projects. In doing so, Beijing has managed to grow quite close to some of the region’s capitals. Argentine President Mauricio Macri has sought to “deepen” ties with China. In Colombia, President Iván Duque hosted Chinese Transport Minister Li Xiaopeng as an honored guest at his inauguration ceremony over the summer. And the incoming Mexican president, Andrés Manuel López Obrador, is considering joining China’s Belt and Road Initiative, which he has said will open a new chapter in the countries’ relations.